1. Strong, sturdy made with thick blades and solid frame. 2. Strong gear box no blocked. 3. Driven by the gearwheel stronger than the chain wheel. 4. 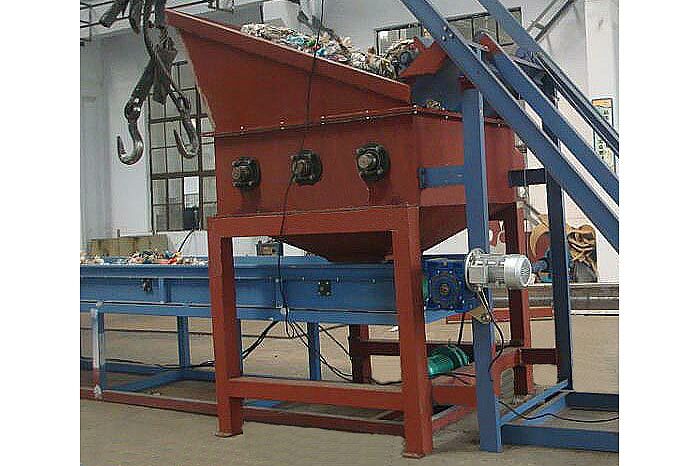 Vertical PET bottle bale opener with high capacity can opening bale with packing wire directly. 5. High capacity low power consumption.